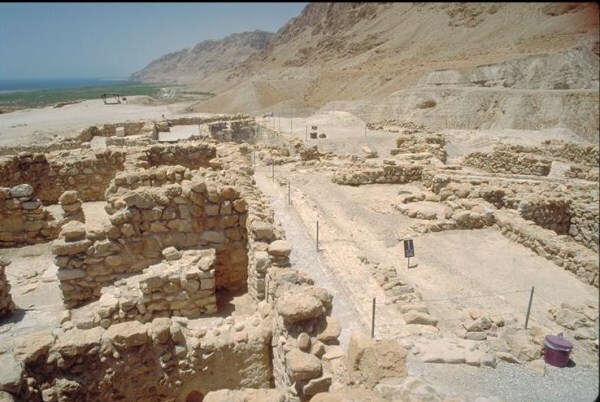 The uncovering of the remains of the settlement of Qumran, on the northwestern shore of the Dead Sea, and the Dead Sea Scrolls found nearby, ignited the imagination of both Jews and Christians. 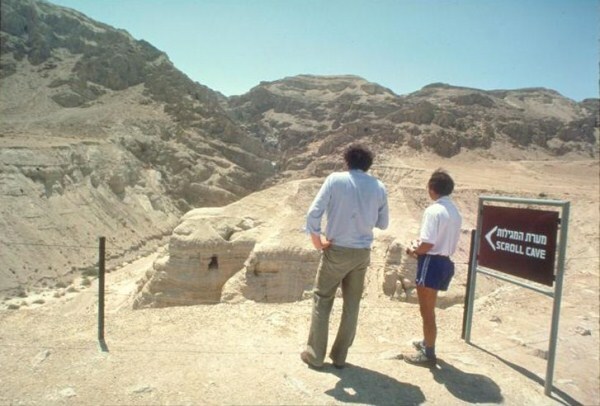 In addition to the oldest copies of the Hebrew Scriptures ever found and scrolls pertaining to the ancient community known as the Yahad, numerous other objects depict the daily life and way of thinking of the Qumran’s inhabitants. Scholars believe that no more than 200 people lived at the site, but the impact of their ideas far exceeded their numbers. Some of Jesus’ pronouncements as recorded in the New Testament had similarities to expressions in the scrolls, Paul quotes scrolls written at Qumran, and the Gospel of John also reveals a link to the sect. A specific prayer recited at specific times of day is a custom the Jewish sages adopted from the Qumran sect after the destruction of the Second Temple. 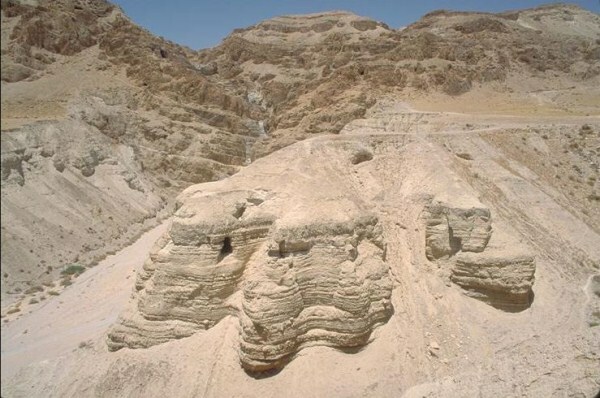 The people at Qumran were apparently Essenes, a group that was known even before the 1947 discovery of the Scrolls from the writings of the contemporaneous historian Josephus Flavius. The members of the sect saw themselves as the chosen of Israel, whose ways the rest of the people should follow. Their separatist nature led them to the desert, although groups also lived in separate communities in cities, including Jerusalem. Historians of the period describe the group as abandoning the world’s pleasures and living as a commune to which they donated all their wealth. In fact, the sect disparaged wealth; perhaps this was the source of their opposition to the aristocratic Hasmoneans. Their writings describe a communal meal prepared by their priests and consumed in a sacred atmosphere; scholars say the meal might have replaced sacrifice in the Temple, in which they did not believe. 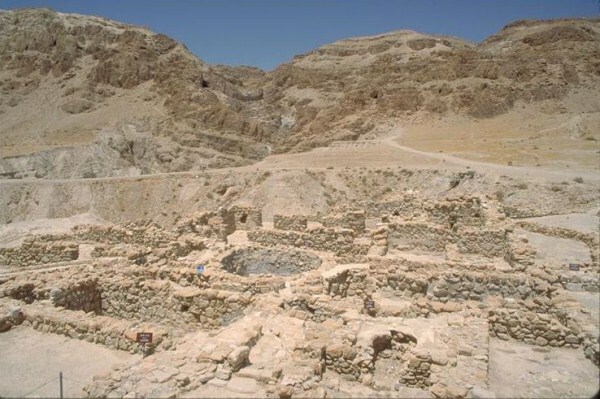 They are described as celibate, although based on skeletal evidence uncovered in the cemetery at Qumran, women also live there. Although seemingly pacifistic in nature, they believed they were preparing for a great, final war in which the world would be destroyed, and that they were readying for a social revolution whose seeds they had planted. Their world view states that everything has been pre-ordained by God. One of their central tenets is that the world is divided into two camps – the righteous and the evil. However, their belief in pre-destination did not lead them to indifference. They believed that a person could do evil because God allowed free will. The members of the sect therefore worked hard to prove their righteousness at all times. Although they did not follow Jewish law of their time (and even had a different calendar), their observance of the Sabbath was meticulous in the extreme. Josephus writes that they did not even defecate on the Sabbath to avoid impurity. Their daily routine, as revealed in their writings, involved rising at dawn and gathering for common prayer. Afterward they worked - cultivating dates, raising sheep and goats or serving the community by drawing water, preparing food, and other tasks. In the afternoon they gathered again, immersed themselves in a ritual bath, prayed again and shared a simple common meal. At sunset they would pray once more. Each member was required to devote one-third of the night to study of the Scriptures. 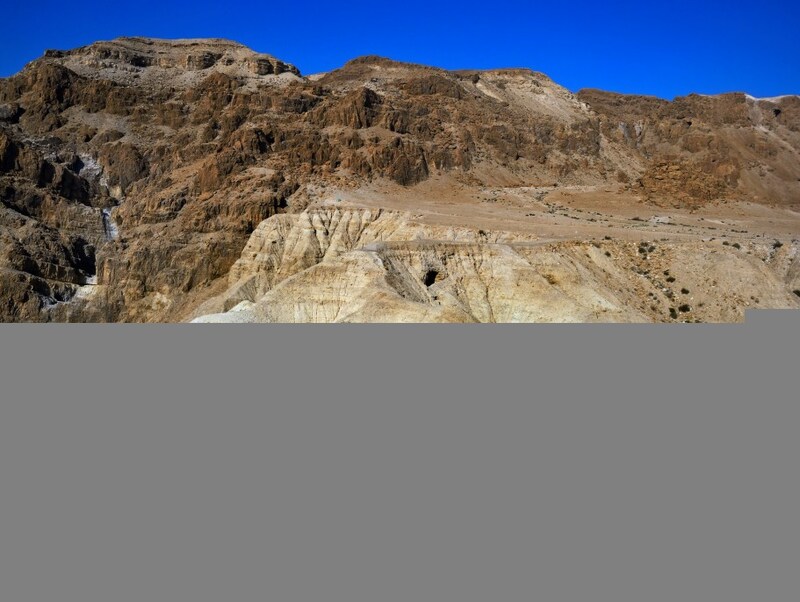 Qumran was established in the eighth century BCE and continued in existence until the destruction of the Temple in 586 BCE. The rectangular fortress dates from this early period. 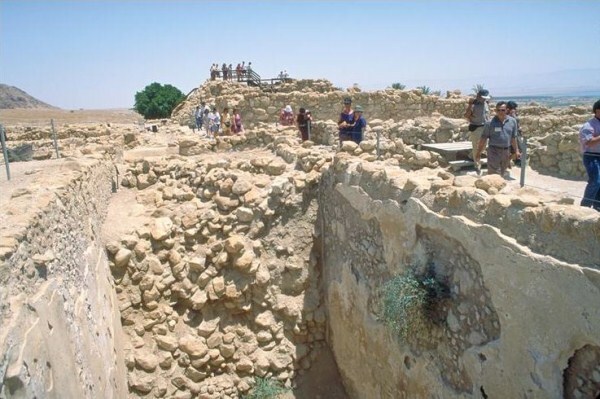 The site was abandoned and resettled in the second century BCE, when it was called Secaca. 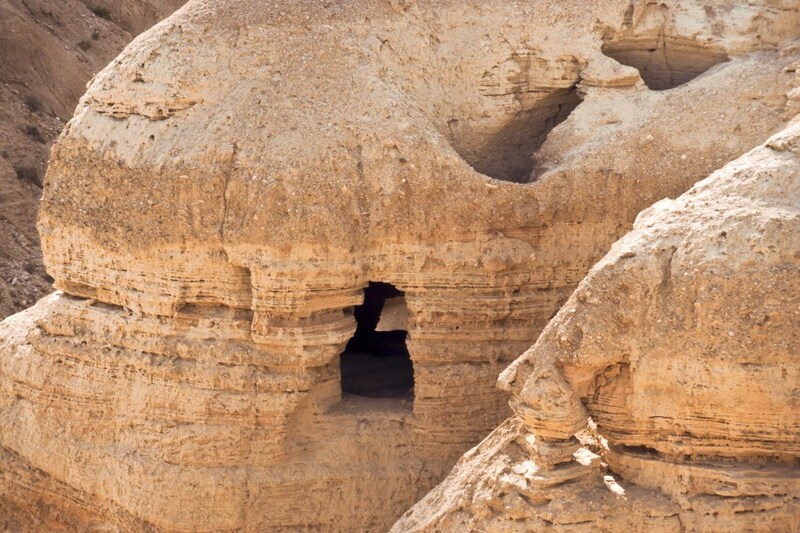 The name Qumran, which comes from the Arabic word meaning “crescent moon” was given the site during the Arab period. Coins found there from the period of the Bar Kokhba Revolt (132–135 CE) reveal that some of the fighters found shelter in its ruins. From the road along the Dead Sea (no. 90), turn to Kibbutz Kalia. 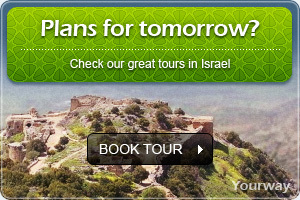 The park is approximately a 40-minute ride from Jerusalem.